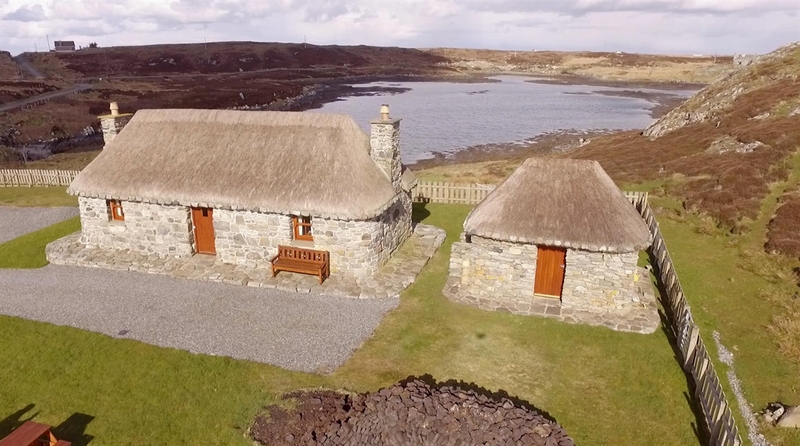 The Shieling by the Bay is a luxury 5 Star self catering Hebridean thatched cottage located in the middle of the Hebrides Island chain on the beautiful island of South uist. This romantic idyllic cottage is the perfect location to unwind and take life at your own pace in the peaceful ambience at the peat fire or for exploring the Hebrides and St Kilda. 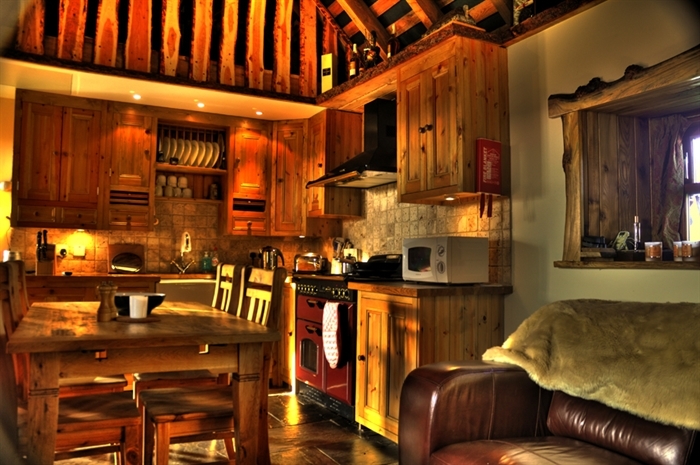 Sit at the cottage and let the array of rare wildlife entertain you in their natural unspoilt peaceful habitat. 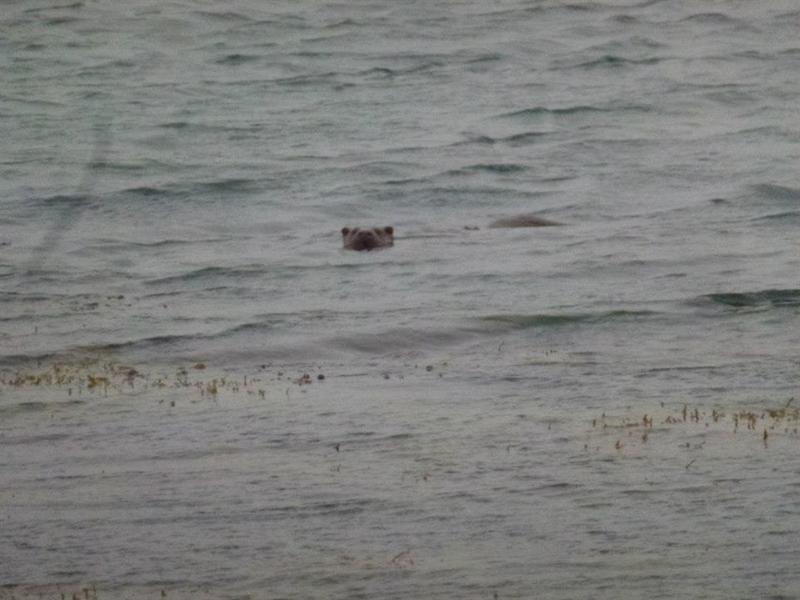 Eagles, otters, seals and Corncrake are frequent visitors. Only minutes walk away enjoy the finest award winning local produce from the fertile land and sea of the Outer Hebrides in the local restaurant. Originally built in the 1800's, Àiridh a Bhàigh is now a luxurious and sympathetically restored one bedroom historically listed thatched cottage renovated using natural and environmentally friendly materials and methods. 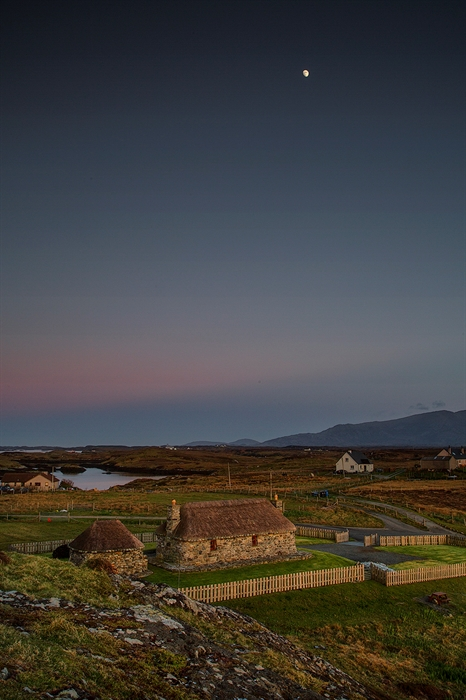 Unique hand made furniture, exposed roof beams and an authentic peat fire create a traditional look and feel that adds a real touch of class to this high standard Outer Hebrides accommodation. The cottage is underfloor heated throughout and double glazed for added comfort and full of authentic Hebridean character with added luxuries for your relaxation and enjoyment. The Shieling is located in a tranquil unspoilt environment where an abundance of rare wildlife will entertain you in their natural habitat from your window or the bay view seating area. You can sit and relax on your private elevated view point of Creag Loisgte (Burn Rock) where you may view St Kilda, The Isle Of Skye, Rhum, Harris, Barra, Benbecula and North Uist. Only minutes walk away enjoy the finest award winning local produce from the fertile land and sea of the Outer Hebrides in the local restaurant. 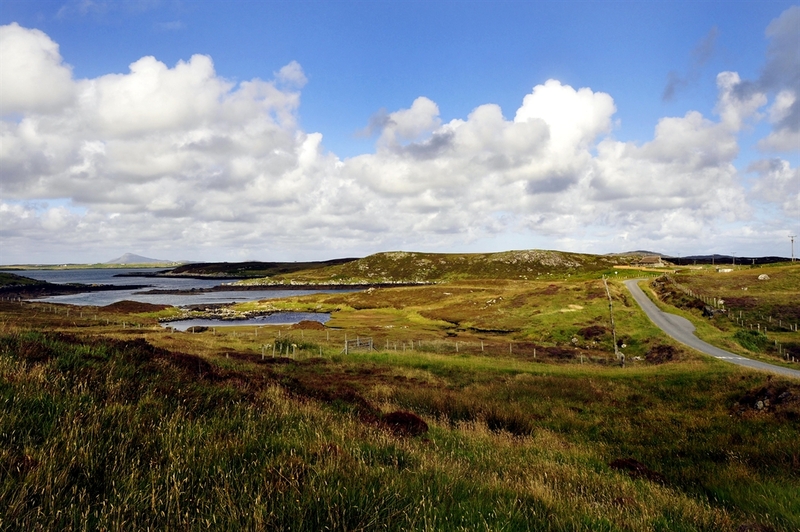 The Shieling makes for the perfect hideaway for exploring the magical Hebrides. 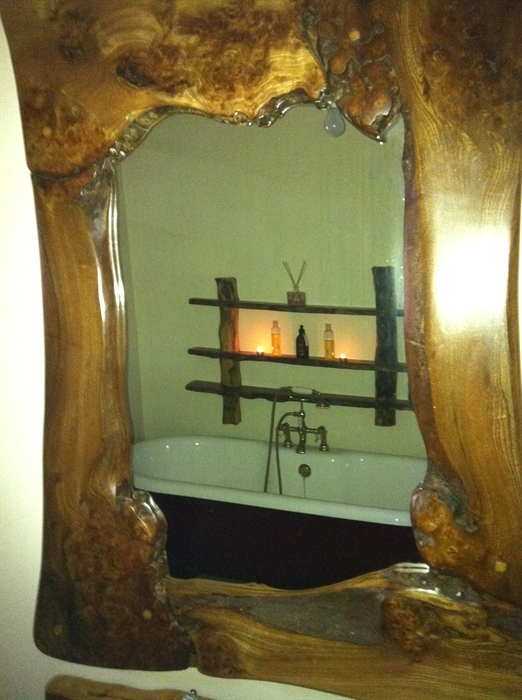 Relax at the peat fire and take life at your own pace in this truly romantic, idyllic setting. There are many walks that can be accessed from the cottage, and beaches are only 10 minutes drive away. 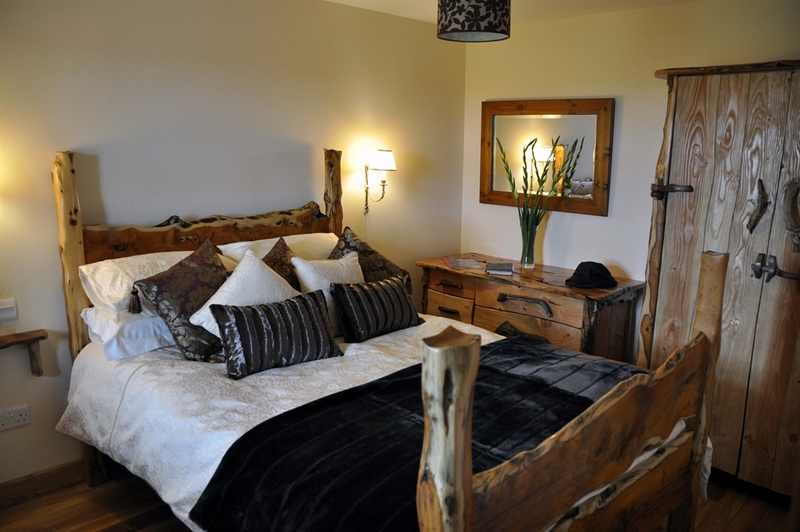 The Shieling bedroom is floored with elegant hand cut elm wood and uniquely furnished with a classic rustic hand made double bed, luxurious mattress, wardrobe and chest of drawers. A hairdryer and ghd straighteners are provided for your use. The spacious bathroom is fitted with a luxuriously deep traditional freestanding bath for a truly peaceful and relaxing bathing experience to soothe your soul. A separate Daryl Hydra Classic shower will rejuvenate and bring you back to life in the morning with its invigorating body jets and rain shower system. The finest towels and linen are provided. 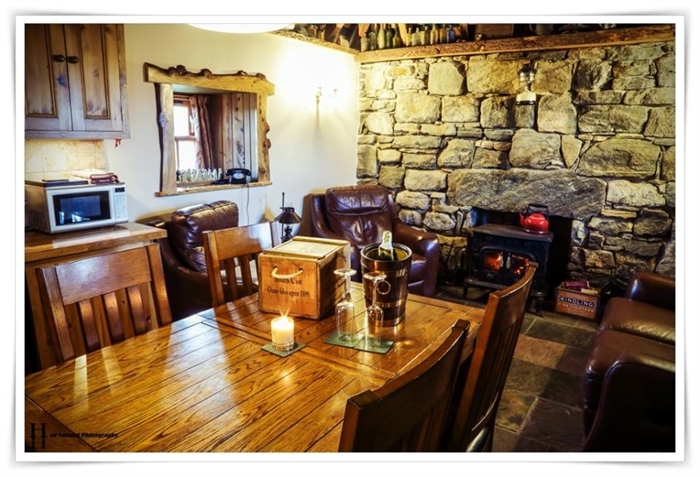 The combined open Shieling lounge and dining area with underfloor heated slate floor, exposed roof beams, peat fire and luxury seating create a traditional and relaxing ambience ensuring you unwind for a truly enjoyable experience. A flat screen HD TV, DVD, SKY TV and portable bluetooth speaker are provided for your use. Del Godchild Del Godchild The Shieling by the Bay April 2013 in gloriuos Easter weather Allan Rolfe The Shieling by the Bay. 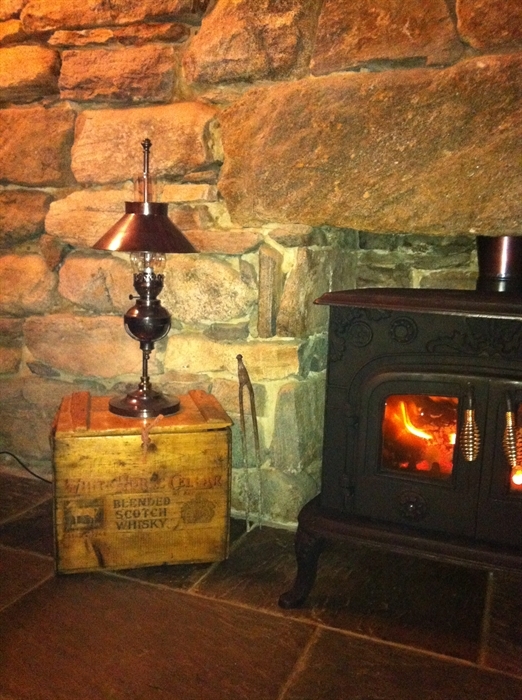 The Shieling kitchen & sitting room The rustic and aromatic Hebridean peat fire ! The handmade Shieling bedroom The peaceful and relaxing Shieling bathroom. The Shieling & the bay Christmas 2011 One of over 800 fishing lochs - Photo by Hugh Spicer One of the many beautiful beaches on South Uist - Photo by Hugh Spicer One of the many Glorious beaches on South Uist -photo taken Easter 2013 One of the resident otters November 2012. 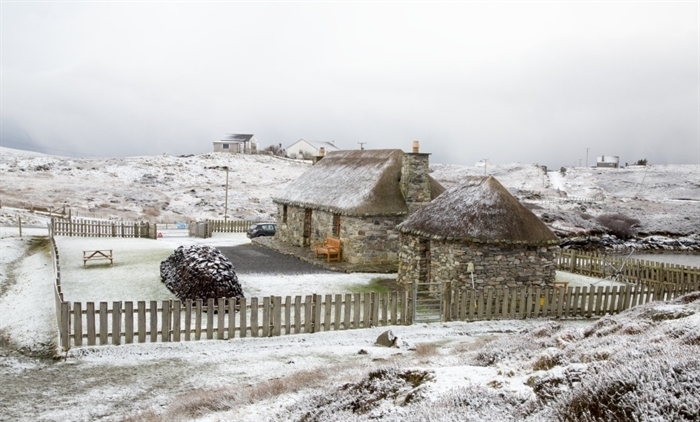 The natural rugged peaceful surroundings of The Shieling by the bay where wildlife live and entertain in their natural habitat The Shieling by the bay winter 2008 - heaven by the peat fire with a wee dram!